The 2018 Annual General Meeting for the St Mary’s GJFC was held on 22 November 2018. We are pleased to welcome Dean Arnel as our new President. Dean is a former St Mary’s GJFC Juniors player and will now follow in the footsteps of his father Dennis whom was also a former President of our great club. Congratulations to newly elected members: Bernie Girolami, Mark Hume, Brendan Walpole, Julie Taylor and Caroline de Run. We are lucky to have such talented individuals volunteers their time for the benefit of the children. Tabled reports will be available on the web shortly. 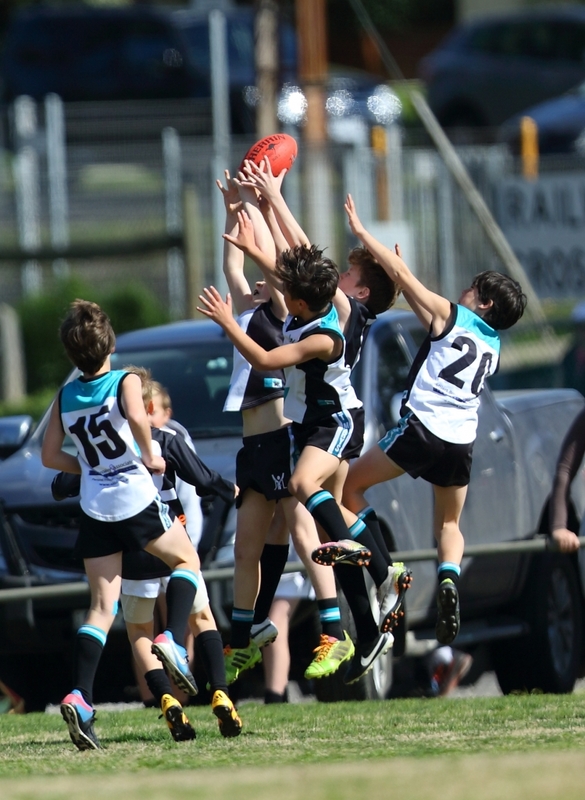 The St Mary’s football club had approximately 450+ players take the field in the 2018 season. This large number reflects the standards set by the club. We are a club that allows children to get a game of football each weekend. Team sports commit your child to regular exercise, which helps boost immunity and contributes to overall physical health. The health benefits of playing sports include proper weight management; efficient functioning of the heart, controlled diabetes, lower cholesterol levels, improved blood circulation, lower hypertension and stress levels. It helps in the toning of muscles and strengthening of bones. We certainly know there’s much more pressure on people’s time and their wallet and there’s a lot more options available to kids and adults now than (there was) 20 years ago, But our aim is to retain as many players as possible for the next season. With 23 sides competing each, the amount of coaches in the club was just over 50, including assistant coaches. This is an extremely large number of well trained volunteers, parents and helpers to ensure the children all enjoy their football in the 2018 season. It takes around 280 volunteers each weekend to get all our games of football on the park. Thanks to all those who helped out in the 2018 season. Congratulations to the under 12 Black and Under 11 Black on taking out the 2018 Premierships, and a big congratulations to the 10 of our competitive 16 sides that made finals in 2018. Our grading and team selections was extremely well managed across the club, every side won at least 4 games and as a club our winning % rate across all teams was 59%. Our Burra skills sessions at the start of the 2018 season were a great success and these will be rolled out again towards the end of the year and into the new year. Our tackers level was a great success in 2018 extending from three to four teams ensuring the future of the club is in a great space. The Girls program continues to go from strength to strength and its fantastic to see them enjoying their chosen sport from week to week. The future of the club is a bright one, see you all in 2019.